Paneer Nuggets is a simple, easy to make snack for any occasion. Fresh paneer cubes are mixed with paste made with the spices, dusted in breadcrumbs and deep fried until golden brown & crispy. 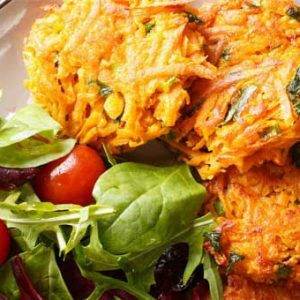 These are best served with ketchup or mint chutney either as an after-school snack, evening snack or as an appetizer. Keep the paneer cubes in hot water, to keep it soft. Crush the corn flakes into small pieces. Mix it with the bread crumbs and keep it aside. Drain the water when using it. Take a bowl and all purpose flour, corn flour, pepper powder, crushed garlic and mix. Use milk to make a paste. Take a bowl, add paneer, red chilli powder, Salt and lemon juice. Dip the paneer cubes in the prepared batter. Roll them over the bread crumbs. Heat oil in a pan for deep frying under medium flame. Deep fry the paneer cubes on all sides. Once they turn golden brown and crisp, remove from flame. Drain the excess oil in tissue. You could add herbs in the batter to enhance the flavor. 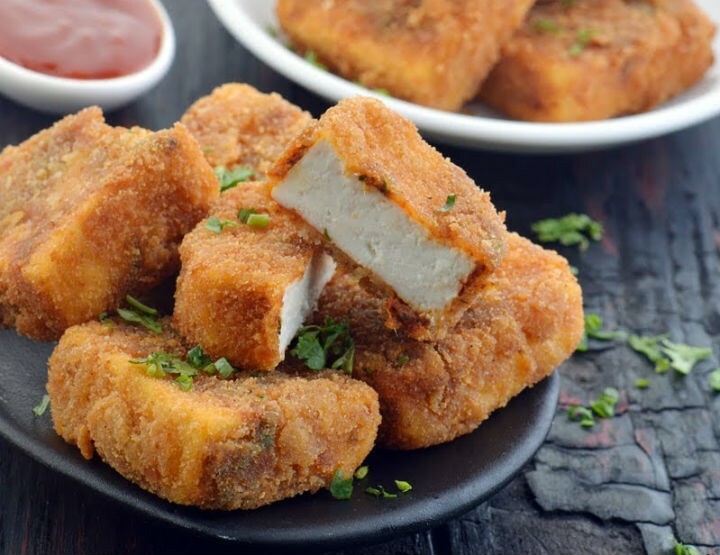 Feel free to comment or share your thoughts on this Paneer Nuggets Recipe from Awesome Cuisine.